Attention everyone! 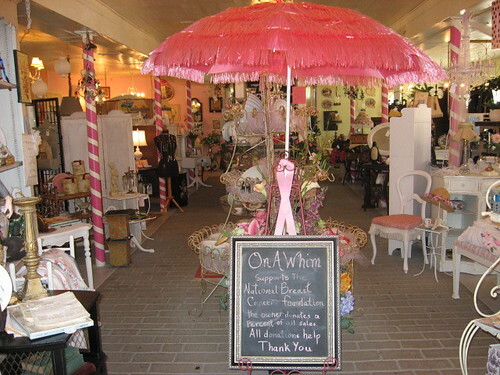 On A Whim Home Boutique will be having its 4th annual fundraiser to raise money for The National Breast Cancer Foundation. They were able to raise $1600 last year and hope to do more this year. All of the proceeds that On A Whim makes from your purchases goes straight to the NBCF! It is a great cause to take part in and you'll be able to score some wonderful items at amazing prices. 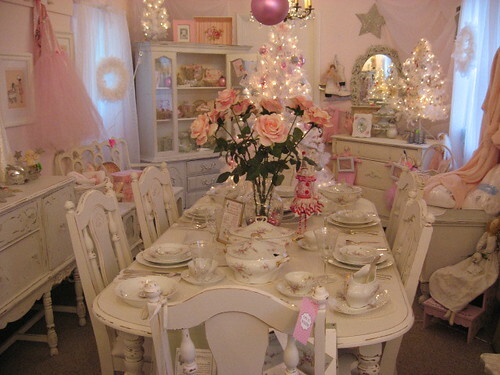 Plus, they've got a whole bunch of items that are pink for the cause. Here's a taste of what you'll find and hopefully you'll find yourself, just like me, on the 24th at On A Whim in Leesburg, VA. 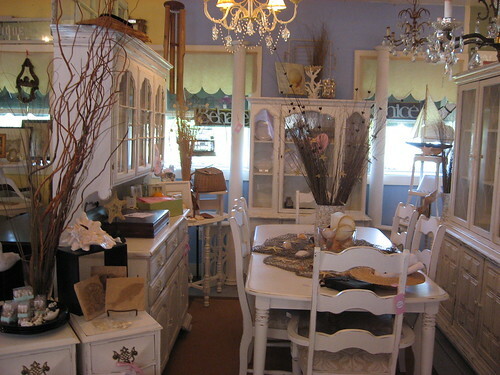 I am loving the white cabinet on the right...might be a good option for my bar. 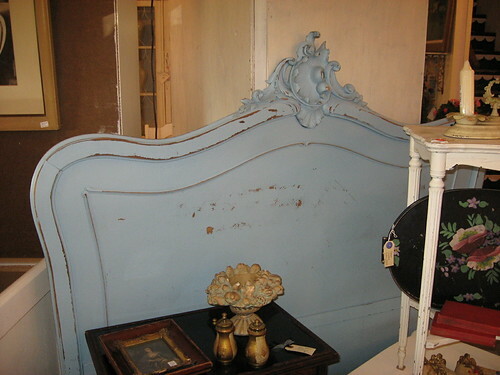 If I wasn't so adamantly for an upholstered headboard, I would be buying this one in a heartbeat! And this is my reason for going to this sale, I NEED this vanity. If I could do high school all over again (this would be the only reason to go back), I would wear one of these dresses to prom. Seriously, I really would if I could. ON A WHIM THANKS YOU over and over again. It is people like you that make ON A WHIM so wonderful. You have truly gone above and beyond by posting this for ON A WHIM.I AGAIN THANK YOU over and over again, from the bottom of my heart. PLEASE when you arrive at the shop, for the fundraiser, let me know who you are so I can thank you in person. Tou have a wonderful week and I look forward to meeting you. Sincerly Donna, owner "ON A WHIM"